I’ve got a fascination with US politics, but its not what you think. There’s a surprising lack of ‘reality’ in reality TV shows. Seriously, sometimes I feel like we’re drowning in this reality rubbish from America. The rare occasion the free-to-air TV goes on, it normally goes straight back off again. And some people like to kid themselves that its better than watching a soap opera, because “it’s real people doing real things.” As if its like the difference between Playschool and roadrunner. But it just looks like contrived nonsense to me. But there is one show I’ve got a close eye on. It’s called the Real Power Queens of Washington City. If Hilary Clinton wins the Presidency it will be a new age in America. If she wins, she’s pipped to appoint Lael Brainard as her Treasury Secretary. With Janet Yellen still chairing the Federal Reserve, for the first time in history women will effectively control the country and the economy. The three most powerful people in America will be women. Exciting times to be alive. So what would that mean for the US? It probably means more spending. (And if you’re thinking there’ll be more spending because they’re chicks and chicks like to spend money, you need to go and sit in the corner and have a good hard look at yourself. But there’s some big times on the horizon for the US. A lot of the zing in Hilary’s campaign has come from the firebrand Senators Bernie Sanders and Elizabeth Warren. These two haven’t been shy about sticking the boot into the banks’ well-deserving arses. But it is also likely we could see a movement towards raising taxes on business and the wealthy, a higher minimum wage, more employee family leave and larger spending on social programs. These things are already in the Democrat platform. Well, there’s nothing concrete on the table yet, but a lot of Democrats are talking about the growing housing crisis. The GFC wiped out a lot of builders, and for years the American market has been under-producing. That was fine when a lot of kids were staying at home and wages weren’t growing. But now the labour market is improving, wages are growing, and the kids want a place of their own. What you’ve got is a surge of demand meeting an undersupplied market. Rents have got a rocket on and prices are starting to move. So it’s a ‘crisis’. To me, this looks like an opportunity, but to a lot of people, it’s a crisis. So there’s a good chance we could see some policy action on this front. The key number in all of this is 64%. That’s the share of American households that own their own home. It’s the lowest level in twenty years (which is why there’s a crisis). The lowest home-ownership rates in a generation are a scandal. People are furious. Both sides of politics are up in arms about it. In part the fall in ownership rates was a predictable consequence of a market that over-shot and then under-shot. In the over-shoot phase, people took on too much debt. When the GFC bit, over-leveraged households lost their homes, and re-joined the pool of renters. But in the under-shoot phase, where prices had fallen too far too fast, the first people to recognise the opportunity were investors – guys like Warren Buffet. And so in the early years of the property rebound, it was pretty much just investors in the market. And so ownership rates fell even further. But what does it mean? And what could it mean for us? Well, we know that both sides of politics in America are big believers in home-ownership. The Republicans saw it as part of their push for an ‘ownership society’. For democrats it was about equality of opportunity. And so the last time ownership was this low, Bill Clinton was in office. What did he do? He launched a 100-point National Home Ownership Strategy – that aimed to loosen credit constraints on first home buyers, among other things. And this has created institutions like Fannie Mae and Freddie Mac, and a whole bunch of state-based tax concessions and subsidies. And for a while it worked. 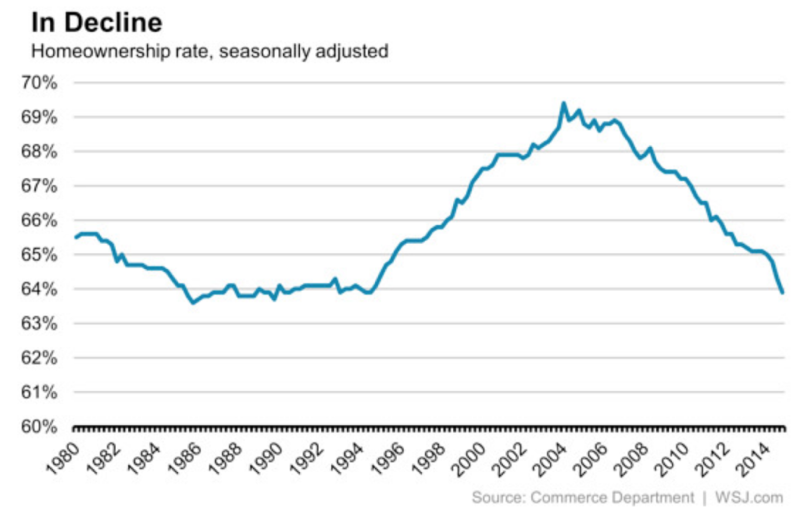 Home ownership rose steadily to a peak of almost 70% in 2004. But then it all came undone. Why? Partly because demand side policies eventually just push up house prices unless there are supply-side policies to go with them. More money, without more houses, just means higher prices. And so what can we expect from Hilary Clinton? Well my guess would be more of the same. It’s easier to throw money at the housing problem than it is to fix the supply side. And if the government’s already in the mood for throwing money around, hang on to your hats. This could create a King Tide for US property. As jobs and incomes grow into a market already in crisis, add a surge of Federal money, and you’ve got a once-every-Clinton-Presidency boom. This is why it’s just such gripping television. 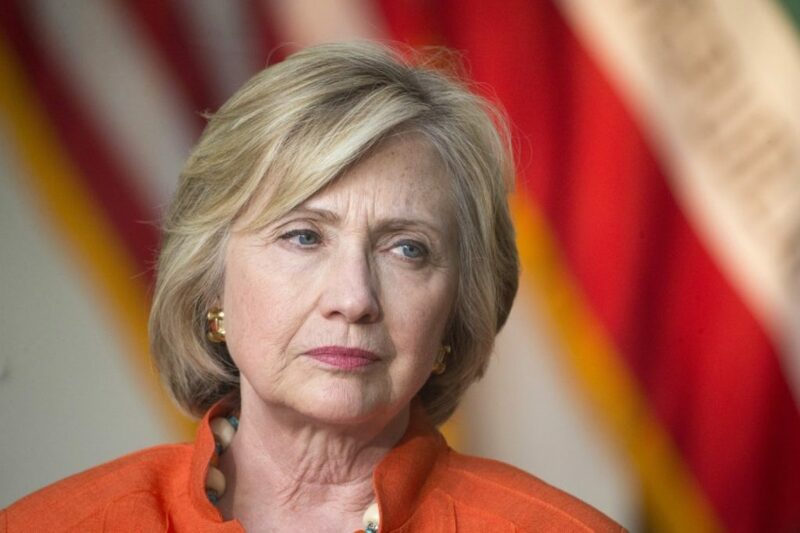 What do you think Clinton would mean for US property?